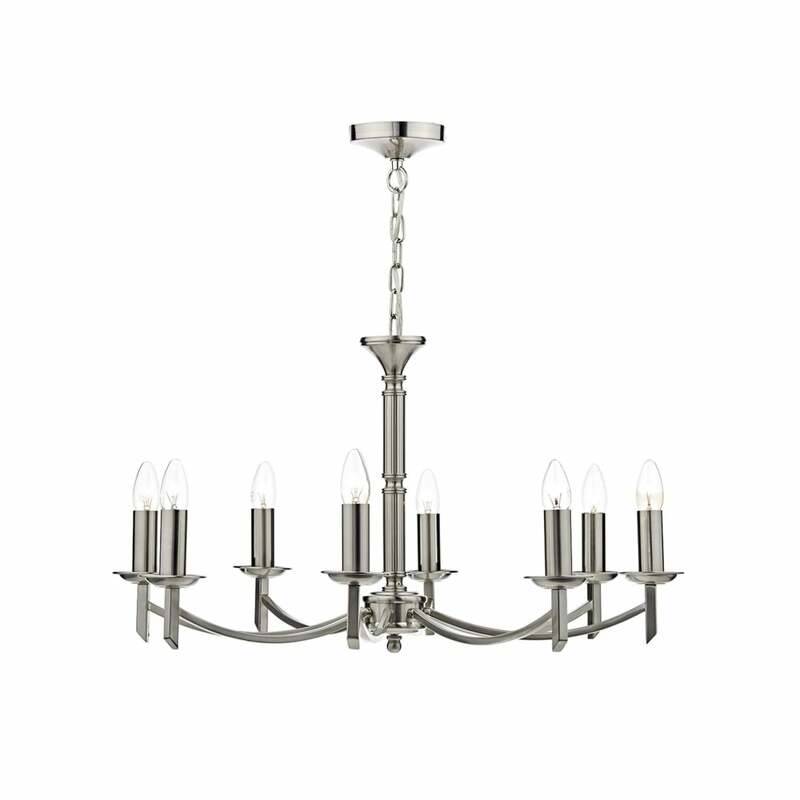 Dar Lighting Ambassador 8 light ceiling fitting features a circular design ceiling plate with decorative chain holding a chandelier style frame all in satin chrome finish. This attractive pendant cleverly draws on both modern and classic lighting inspiration to deliver a unique item that will co-ordinate well with a range of decors.Two sets of candle sleeves are supplied to allow use either with or without shades. Height adjustable at the point of installation and comes supplied with 100cm of chain and cable. This product code is AMB0846. Optional shades can be ordered with this item and can come in either natural cotton or in a selection of 100% silk shades in an assortment of 17 different colours. Please contact a member of our sales team for further information. The Ambassador range includes a matching 5 light pendant or 2 light wall fitting and is also available in antique brass finish.